Great news: results of the 2014 world cup stages were released on Sept. 16th, in preparation for the World Championships to be held in Narita, Japan, in November. Current points accruements now put our very own, and very talented, Nina Cutro-Kelly at #1 in the world for womens seniors 80+kg. 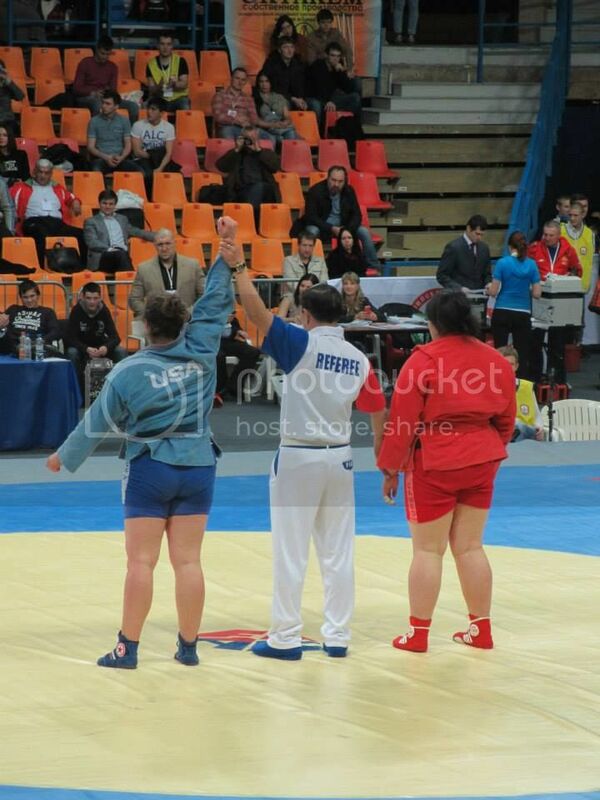 This is a wonderful step forward in the development of sambo in the United States. On behalf of all USA Sambo athletes, administrators, and officials, thank you, Nina, for all of your hard work and resulting success.